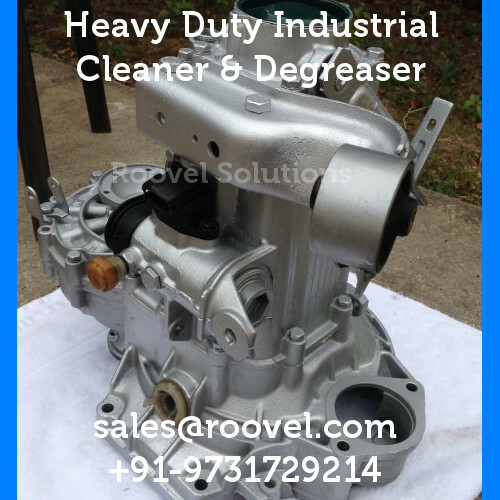 POWER CLEAN [CD] is a excellent all purpose industrial cleaner and degreaser that removes Oil, Grease, Dirt, Dust e.t.c from metals surfaces very easily and quickly. It can also remove slight rust using ultrasonic cleaner easily. POWER CLEAN - CD cleans ferrous and non-ferrous metals very effectively and provides corrosion protection after cleaning.. This product can also be used on plastics , such as component tray's and bin's. POWER CLEAN CD is a heavy duty aqueous degreaser concentrate, designed to remove a wide range of oils and greases. Due to it's pleasant odor and versatile nature to remover various kind of contamination it has become the preferred choice for many workers in different industries. 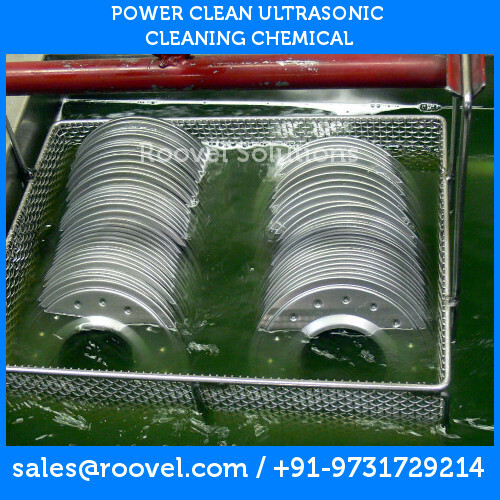 POWER CLEAN CD is supplied as a liquid concentrate. Use this product diluted down with water 1 - 15% concentration by volume, based on contamination, at an operating temperature range of 60 to 70 degree Celsius. POWER CLEAN CD is a fast acting cleaner designed to meet a broad range of cleaning efficiency requirements. Hand wipe, solution spray, mechanical, or ultrasonic agitation is used to enhance the cleaning action. Parts can be wiped with a damp rag or rinsed off with warm water. Use filtered hot air to dry out the parts. It is widely used and replaces hazardous and toxic items like Trichloroethylene (TCE), Perchloroethylene and other caustic chemicals. By using POWER CLEAN -CD you will easily achieve the required degree of cleanliness, with all round safety (operator, machine, storage and environment) for a fraction of cost. This is a very very effectie Ultrasonic Cleaning Chemical that can save you lot of money when used effectively. Automotive Oil, Lapping Oil, Honning Oil, Mineral Vegetable and Polybutane Oils. 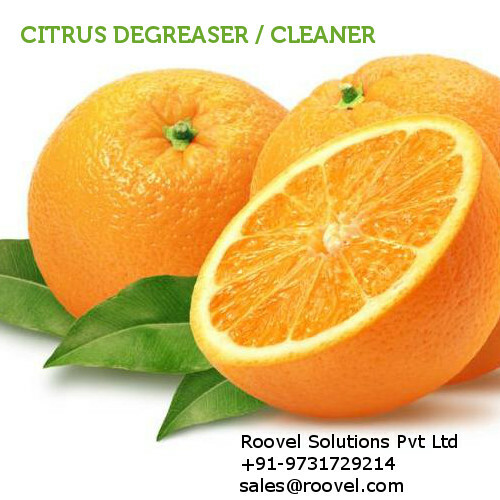 We clean our Engine parts using this natural citrus cleaner / degreaser. It cleans fast and provides a nice odor for the workers (they love it !). Excellent silicon release agent cleaner.